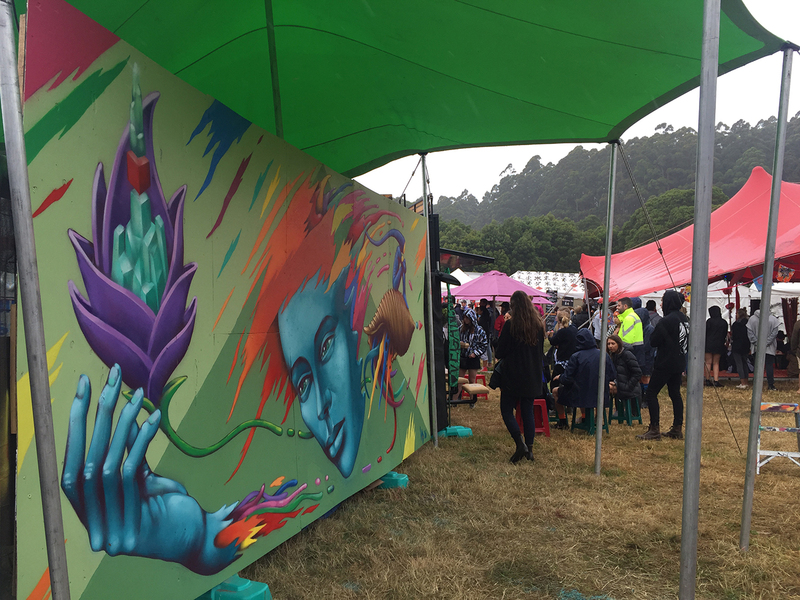 I was recently commissioned by the team at Rancho Relaxo to paint a mural and run drawing workshops for their chill out and workshop space at The Falls Festival in Lorne Victoria. 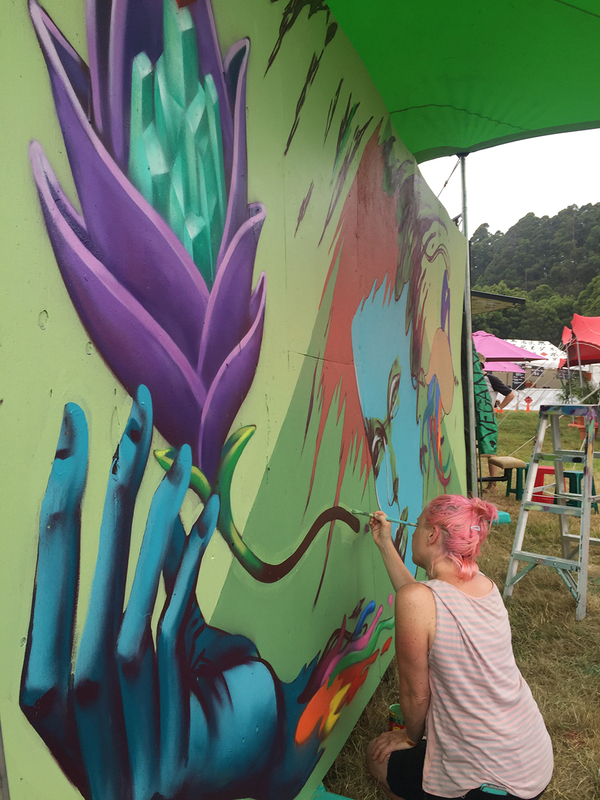 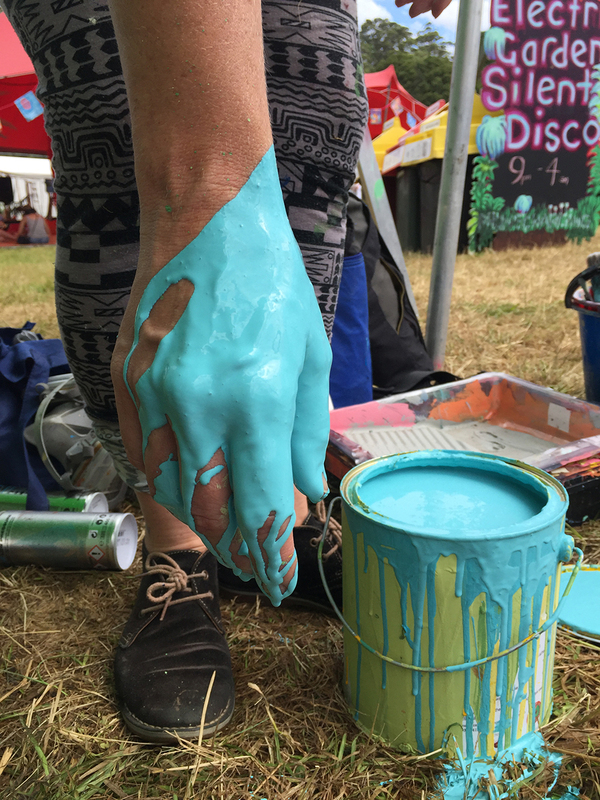 Rancho Relaxo is an alternative space to the main stages with live music, yoga, massage, creative workshops, food, vendor stalls and of course live art. 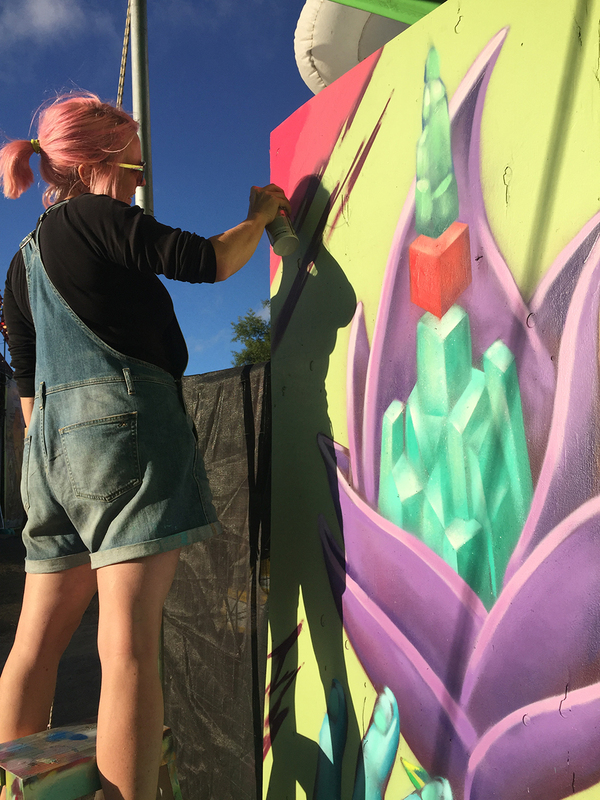 My amazing partner Shoosh assisted me throughout the whole painting process on this project and the work was all the better for it! 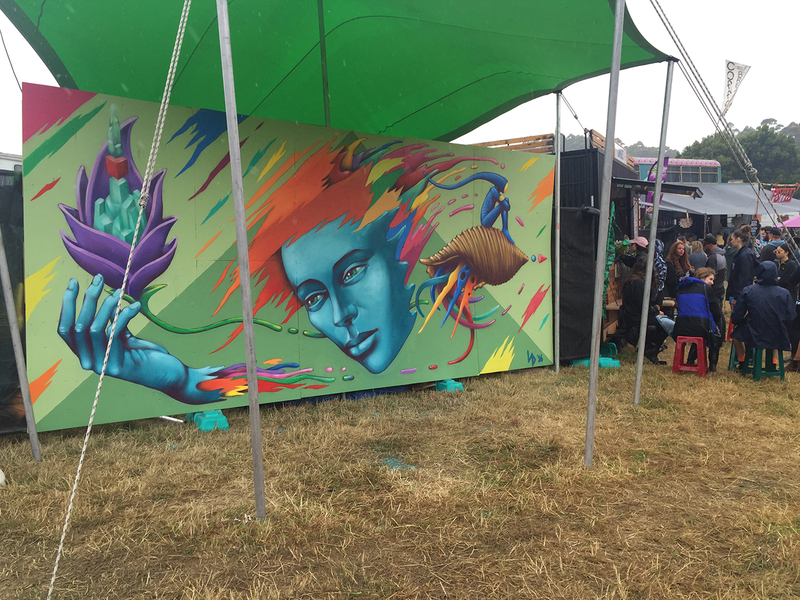 The mural design was an extension of the personal imagery I’ve been developing recently and was a loose interpretation and visual reflection of the creative spirit of the Rancho Relaxo space. 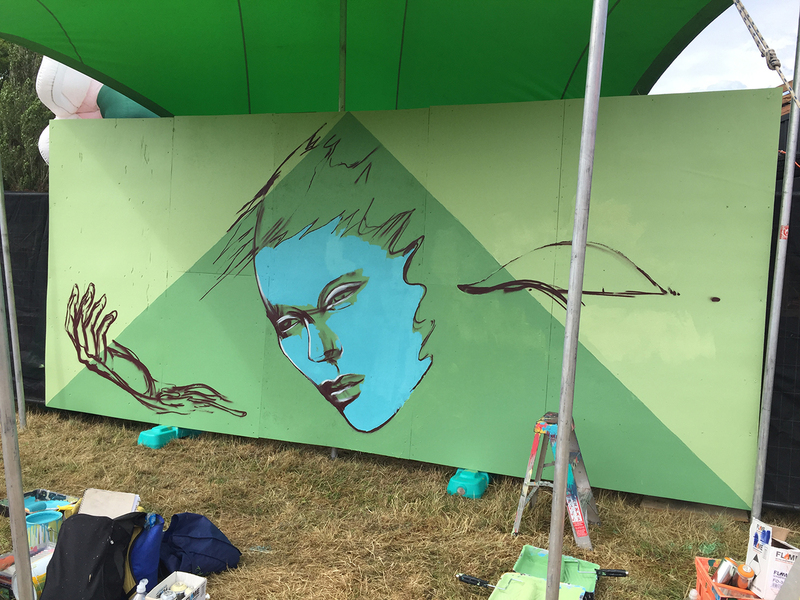 Unfortunately due to a difference in the canvas dimensions and bad weather interfering (we lost time waiting for an awning to be erected) we had to scrap the original design and come up with a new one on the fly! 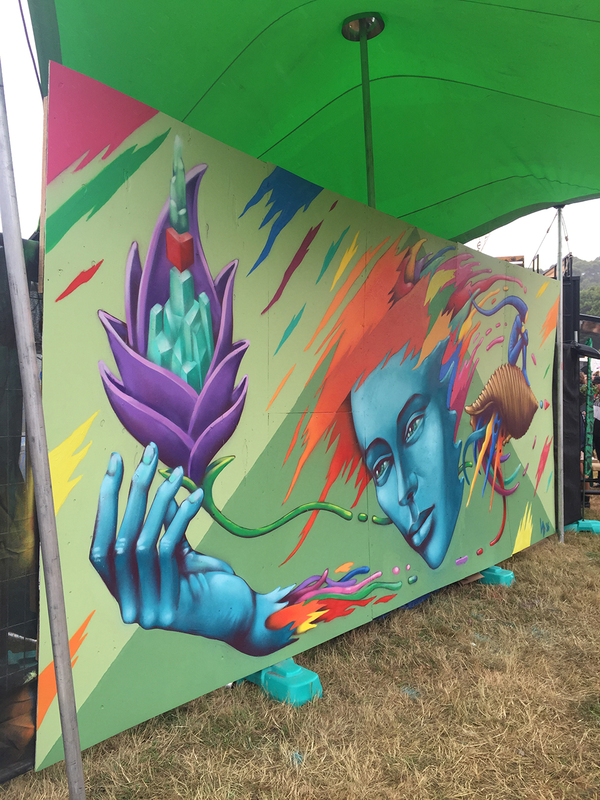 We felt the new design was something we could do more justice to with the canvas size and time frame, and in the end the outcome was as good if not better than anticipated in some respects. 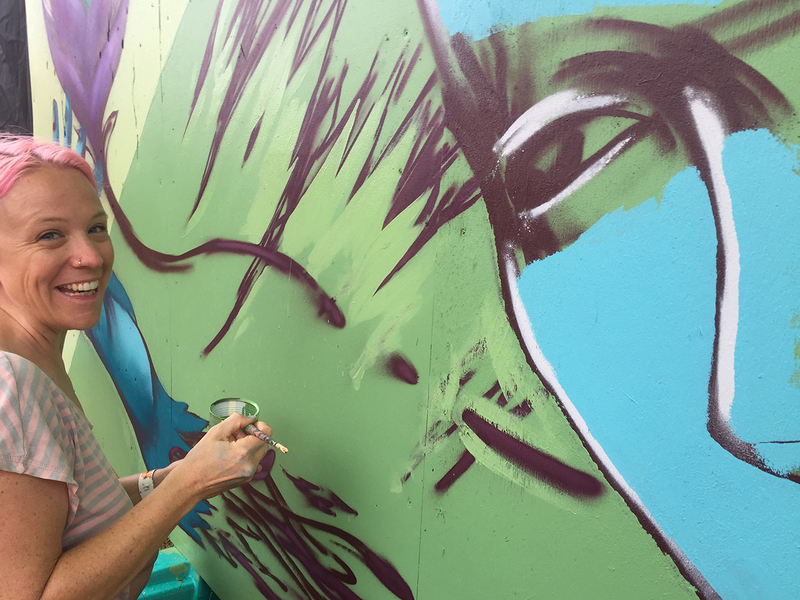 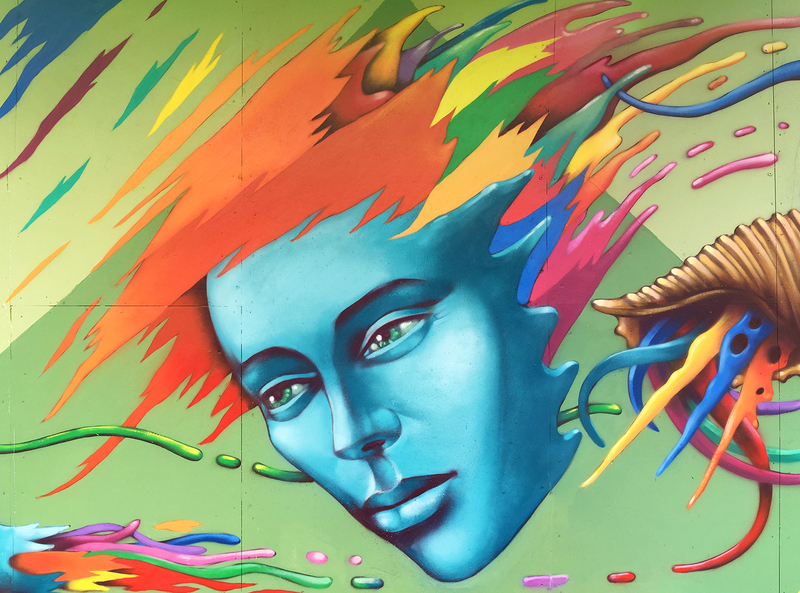 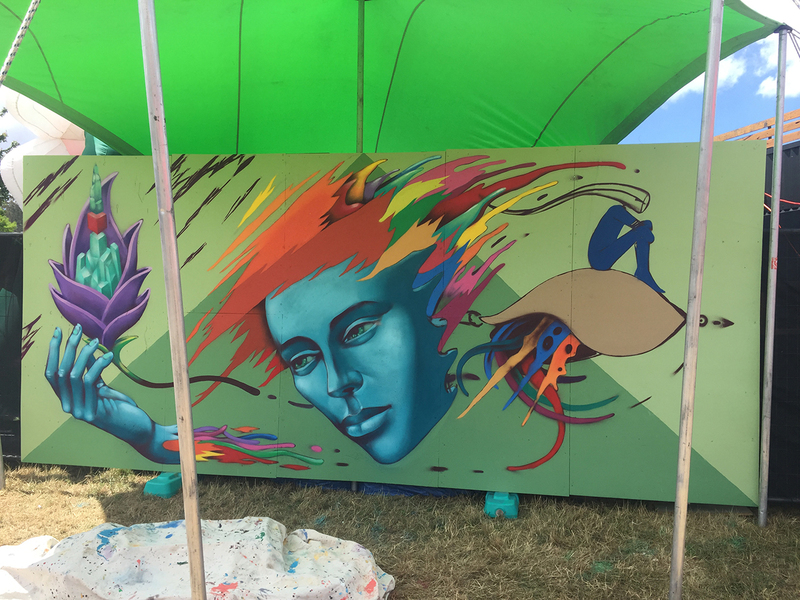 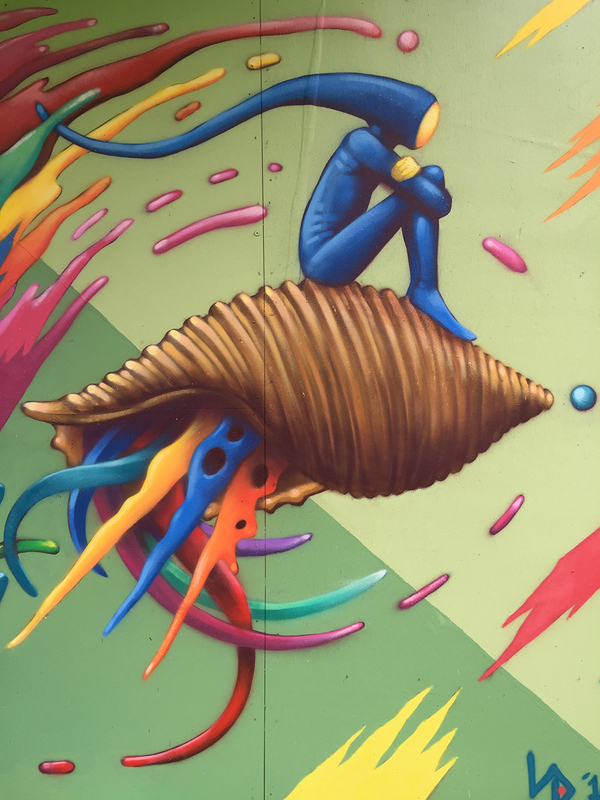 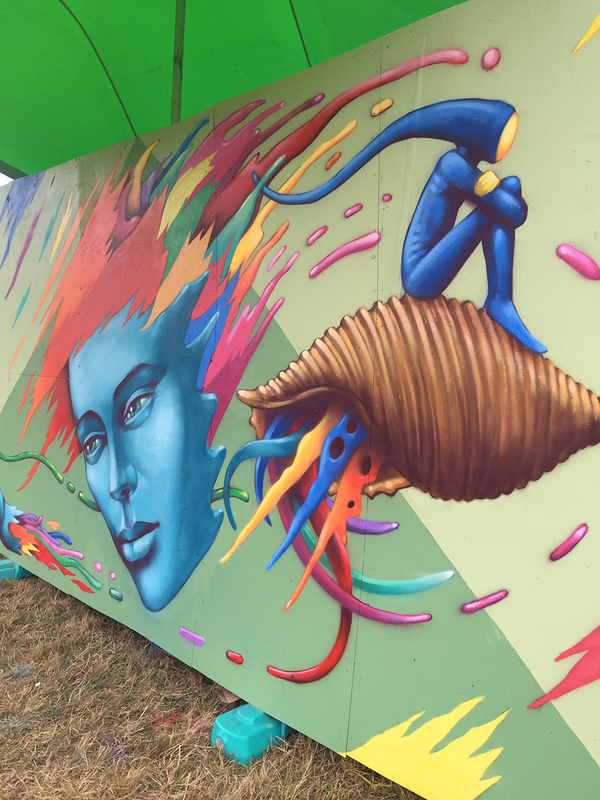 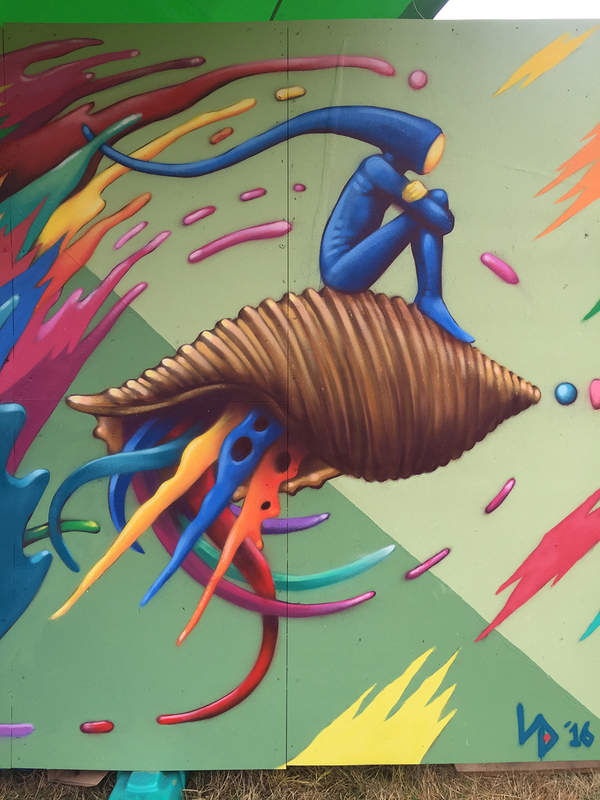 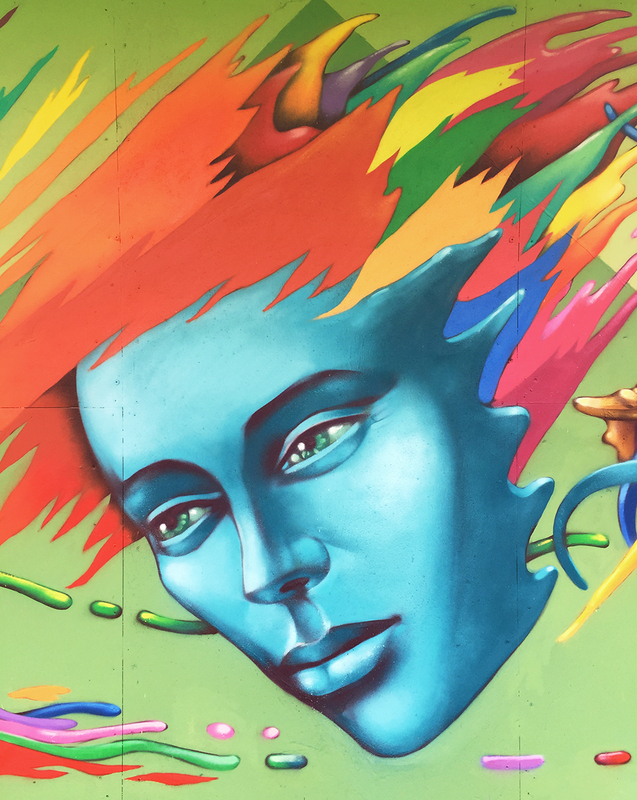 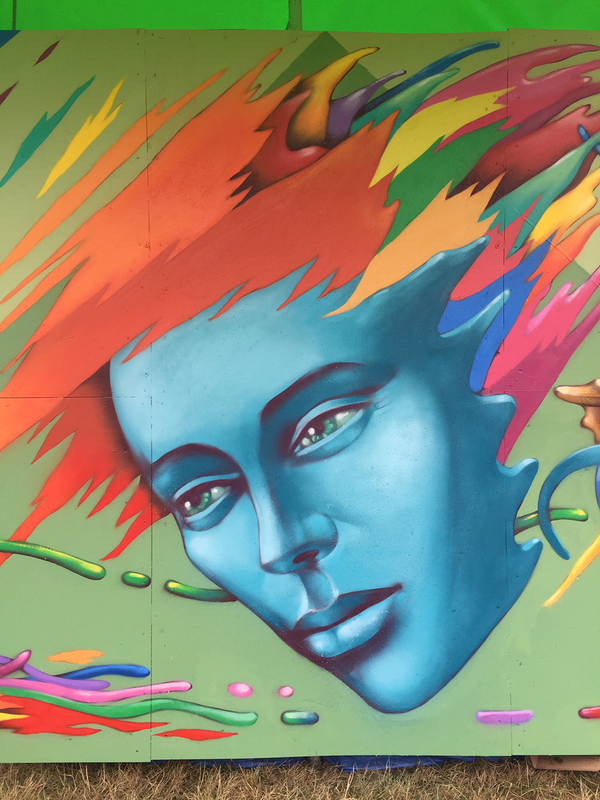 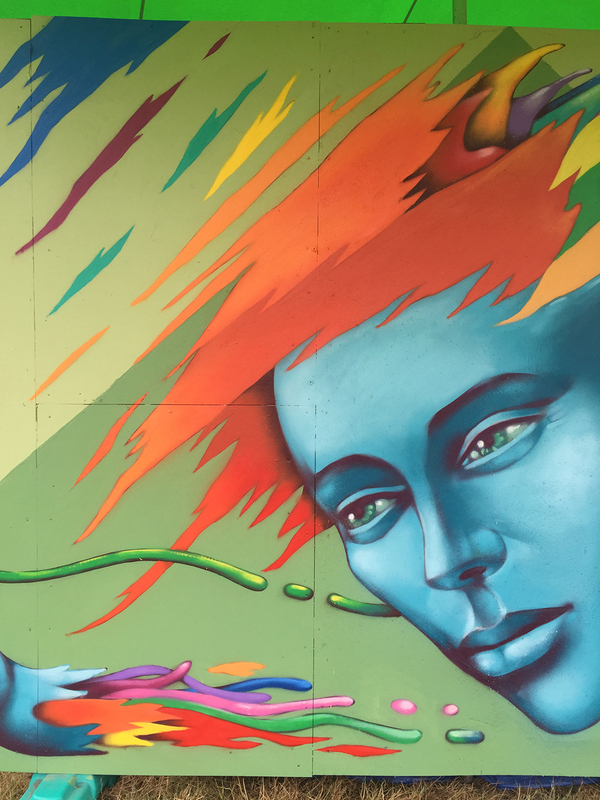 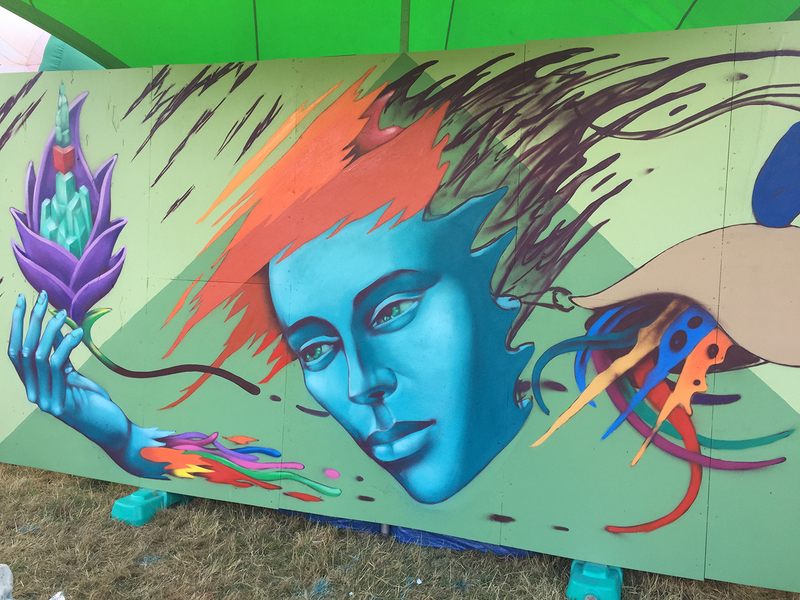 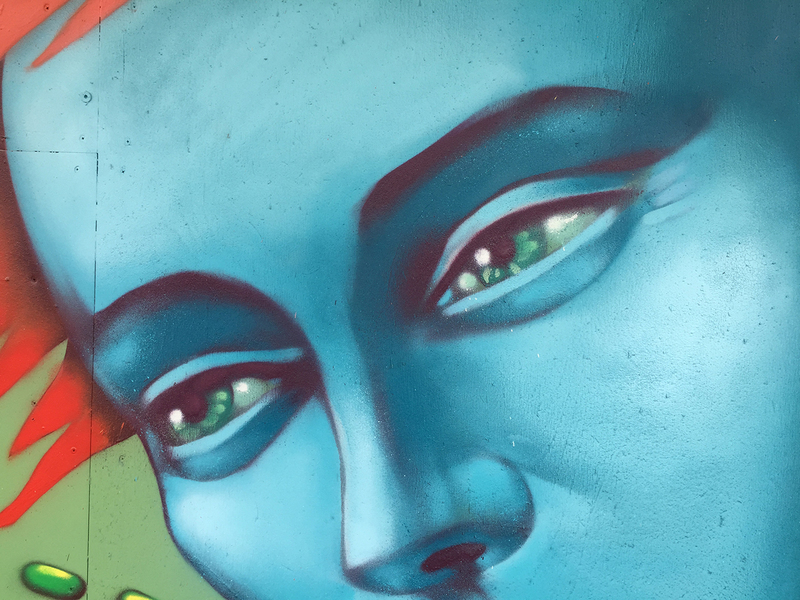 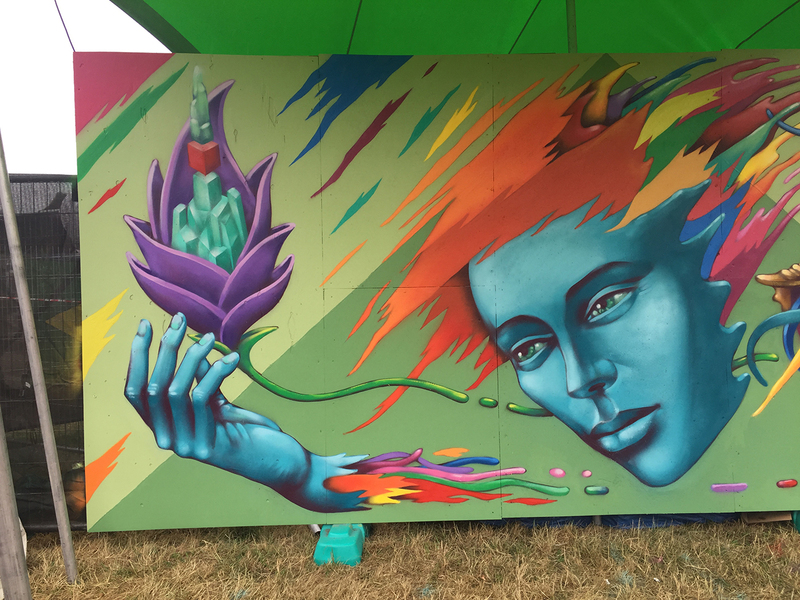 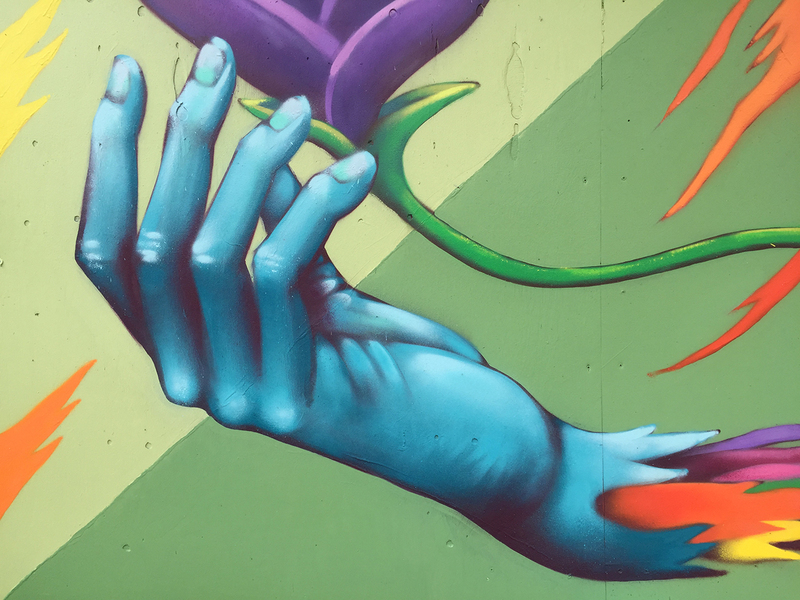 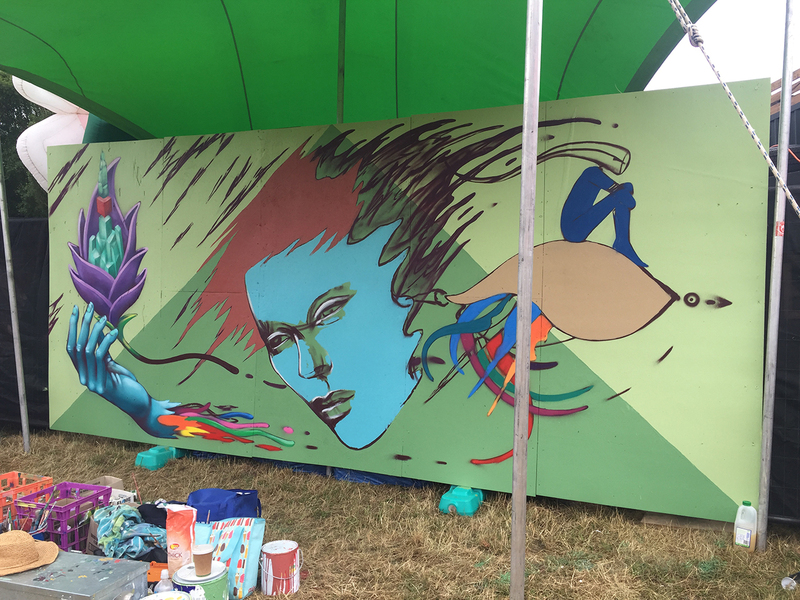 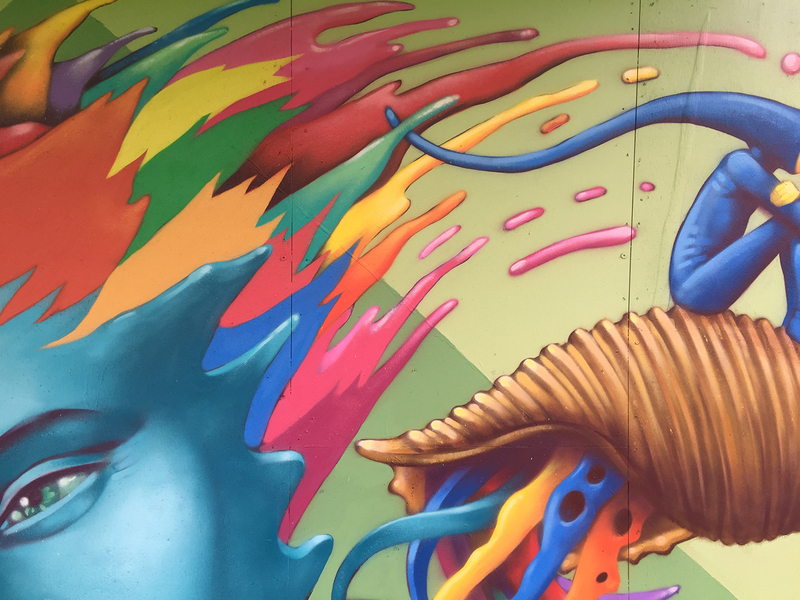 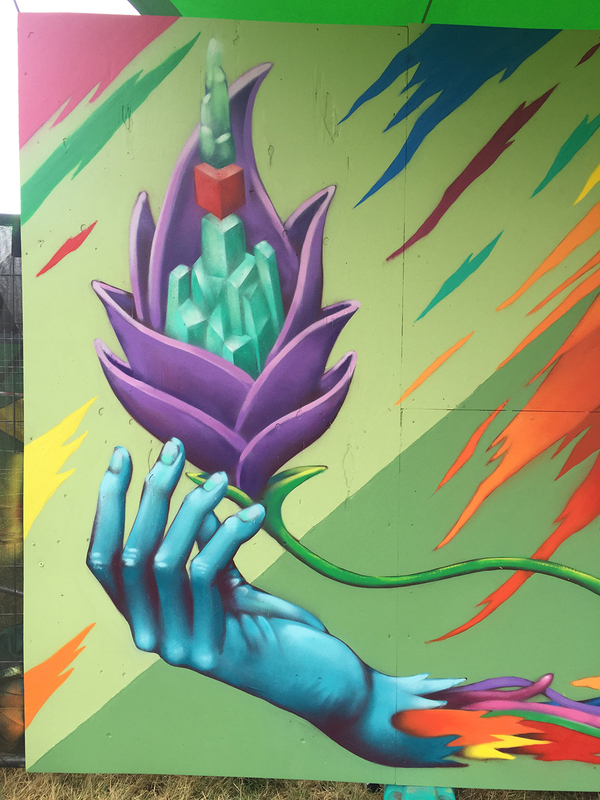 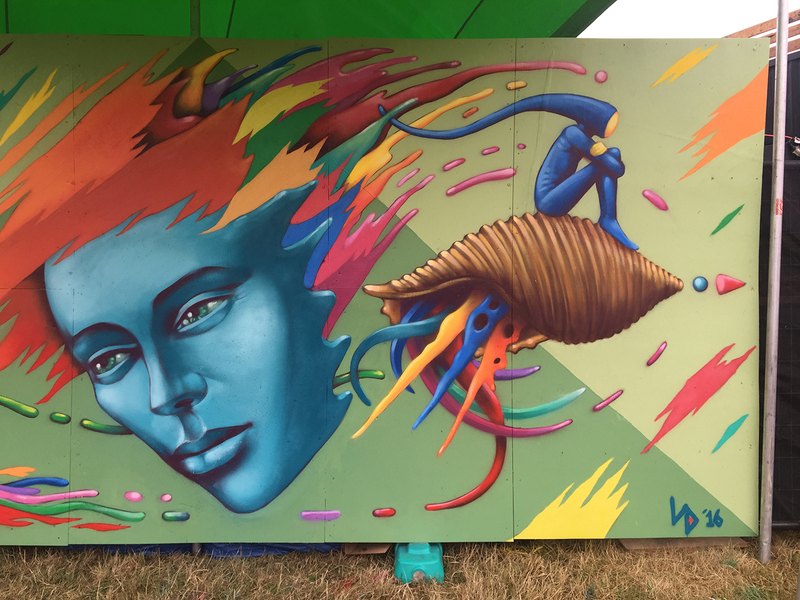 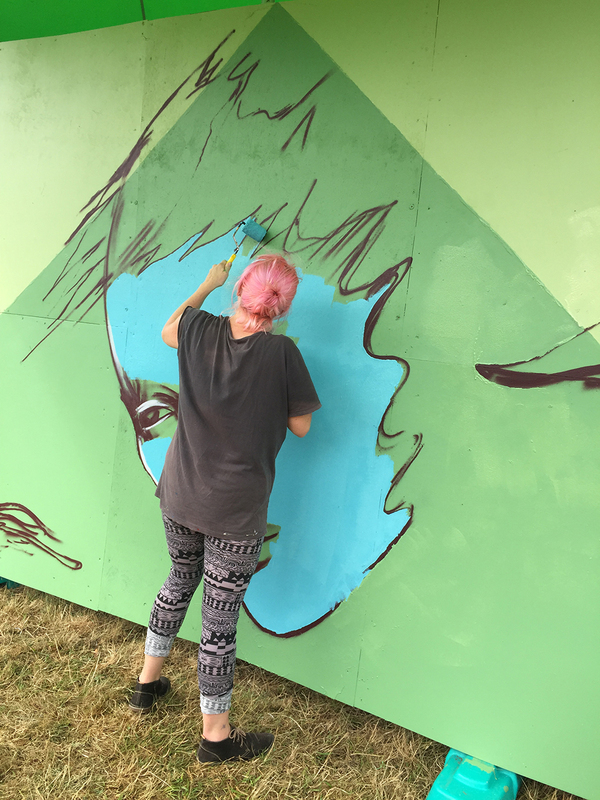 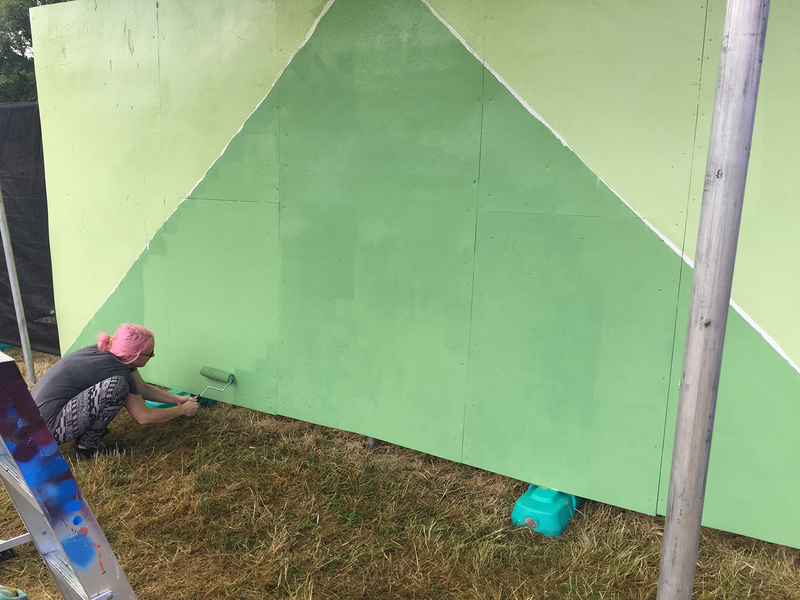 The mural was painted over the course of four days (2 half days and 2 full days – finished on new years eve) in the lead up to the 2016 new years eve celebrations at the festival. 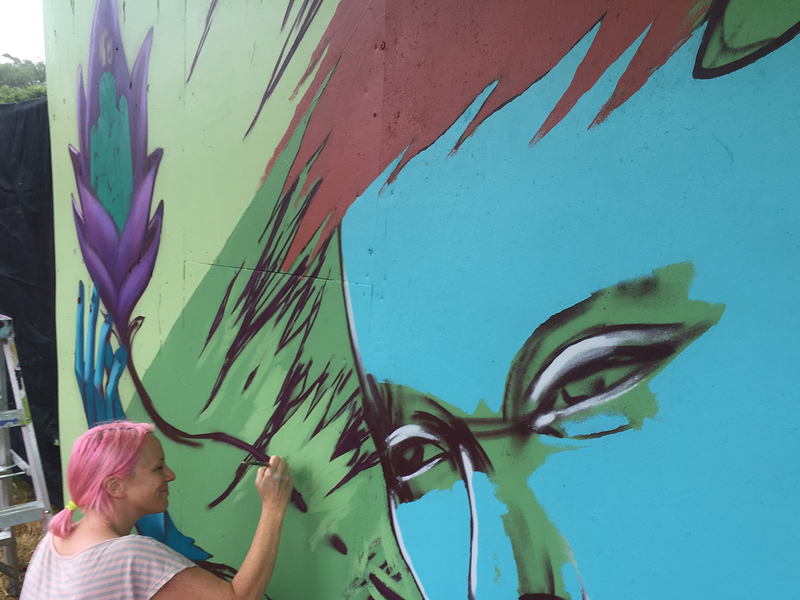 During this whole process Shoosh and I ran some observational drawing workshops for the creative spirits floating around the space in the afternoons, it was awesome to see people inspired by the space to get creative! 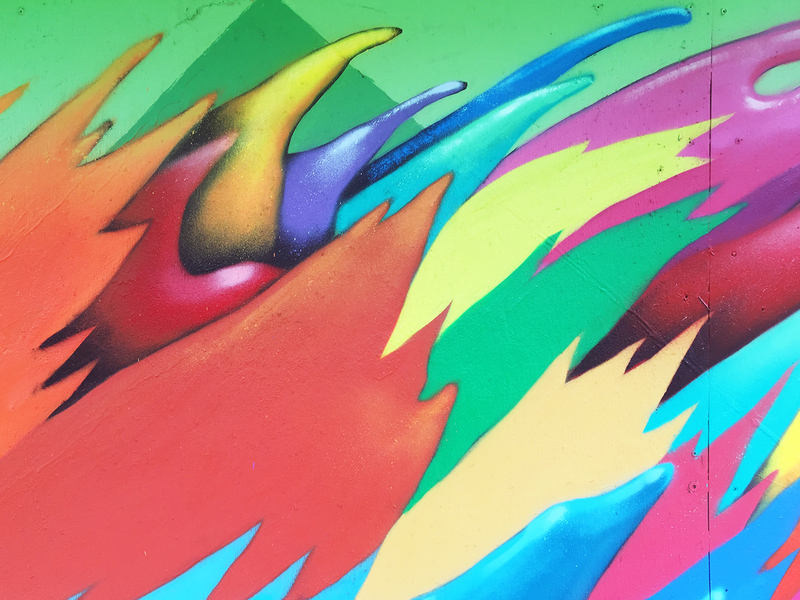 Below are pictures of the original (scrapped) design, process pics, finished wide shots, angles and details – Enjoy!